In the 1950s an iconic designer and a traditional Danish hardware manufacturer came together to form a fascinating partnership. 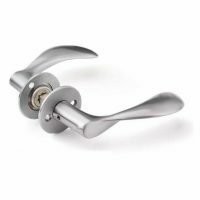 The hardware manufacturer saw an opportunity for future cooperation and soon the first architectural designed lever handle came into being. The designer was Arne Jacobsen, and the AJ lever handle was born. This constituted the beginning of an iconic creation of beautifully designed lever handles, and the collection of IKONS now covers the period from the 50s to the present day. Copyright 2017-2018 Williams Ironmongery | All Rights Reserved | Built + Hosted by GIGER MEDIA.